Make the most of your dealership's valuable sales lot by using windshield numbers and year decals and stickers for each vehicle you have for sale. 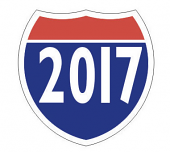 Windshield numbers and year stickers help keep your auto sales lot and vehicle inventory organized. This allows your salespeople to be more effective, efficient and informed when assisting customers. Windshield numbers and decals communicate to your customers that you're creditable, transparent and up-front about the vehicles selling price. Estampe has genuine online savings on wide variety of adhesive car window stickers, advertising slogans and pricers for new and used car sales marketing. Fluorescent Windshield Numbers Pricers 9.5"
Placing Windshield Numbers on every used car on your auto sales lot is very important. Expert auto retailers know that Windshield Numbers, also frequently referred to as adhesive pricer labels or decals, are important because they help reassure your customer that the price you're asking is creditable. Fluorescent Decals for Car Window:Make sure your auto dealership's great pricing can be easily seen from across the street by using these large highly visible 9.5" Windshield Numbers. Looking for an inexpensive way to get the car windshields on your sales lot to have that hand painted look? Try these waterproof die-cut Number Windshield Stickers. Interstate Shields, also referred to as Road Sign Windshield Decals or Used Car Interstate Signs bring to mind an All-American passion for the open road. These windshield stickers give your sales lot a clean, strong patriotic atmosphere and signal to your customers that your cars are ready to fly down the highway.